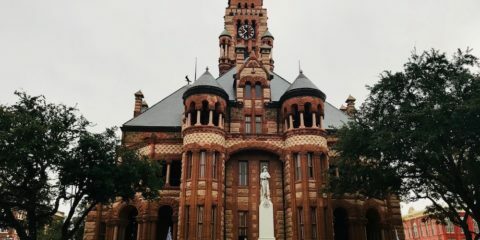 In November 2017, Jim and I took a trip to Texas. We did some shopping for Christmas and stayed at a wonderful bed and breakfast in Waxahachie, Texas. 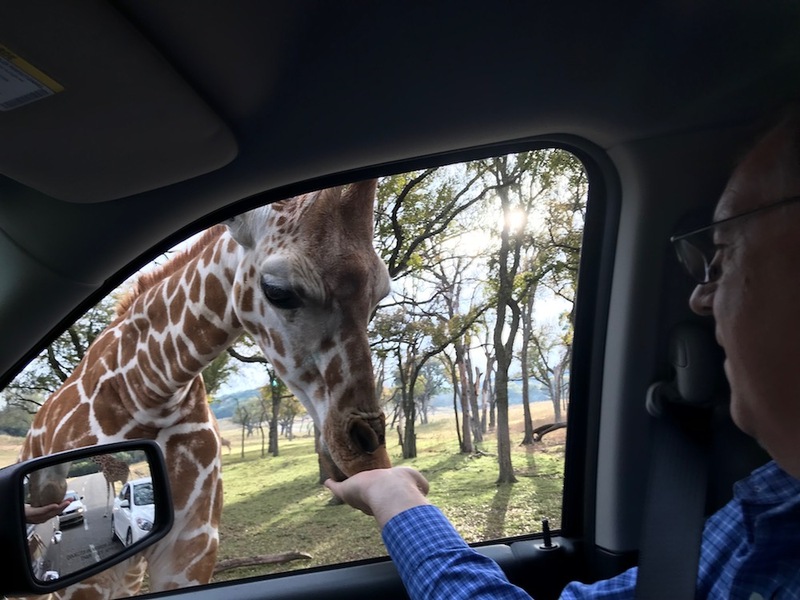 While we were in Texas, we also visited the Fossil Rim Wildlife Center in Glen Rose. 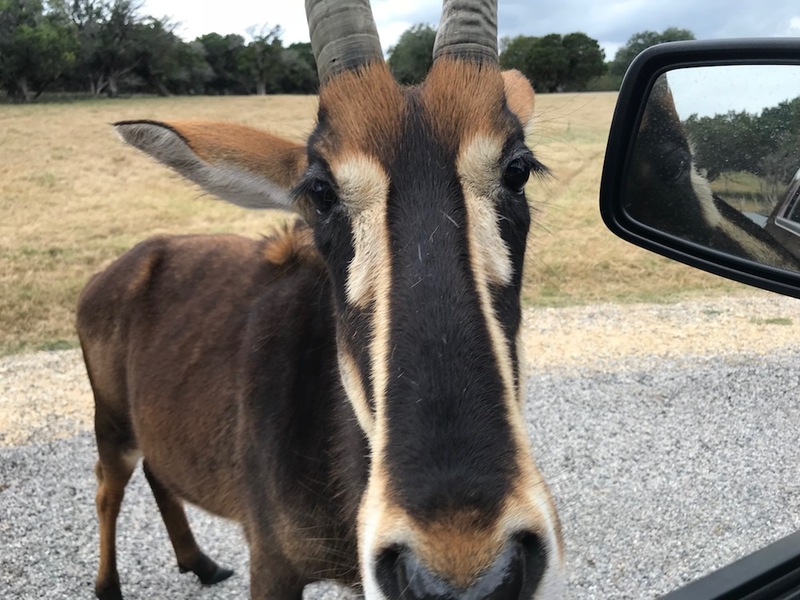 This is a fun way to make friends with animals up close as you drive through the park. Although the signs say to throw the animal food on the ground, those beasts are all up in the window. Take a look!